After months of neutron bombing its sports department (see coverage from our kissin’ cousins at One Daily Town), the Boston Herald has actually hired a sports columnist to fill the void in its Toy Department. Boston has a new voice for sports. 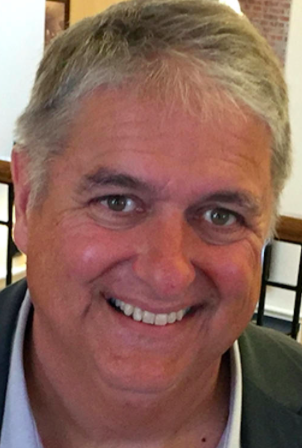 Tom Keegan, an award-winning columnist, editor and radio personality who has plied his trade in the Los Angeles, Chicago and New York markets, will join the Herald as sports columnist covering Boston’s championship-winning teams beginning Monday. Hope you don’t get folded, spindled, or mutilated by your Digital Fist – sorry, First – Media handlers. 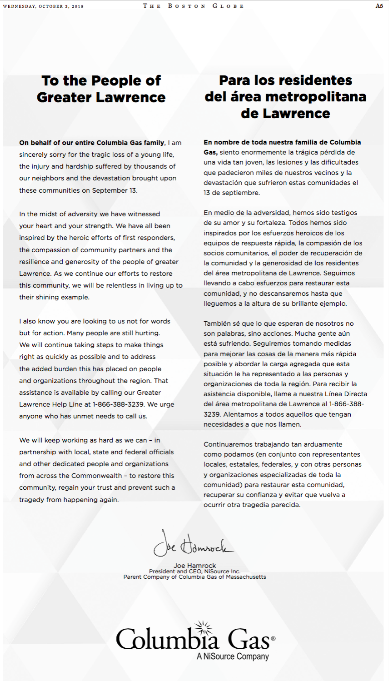 Columbia Gas, which oversaw the destruction of roughly 80 homes; the death of Leonel Rondon, a student at Phoenix Charter Academy; over two dozen injuries; and the disruption of thousands of other lives, promises to restore service to Lawrence, Andover, and North Andover by November 19th. The company is also hedging its bets, as yesterday’s full-page Boston Globe ad from Columbia Gasbag Joe Hamrock indicates. Also notice that there’s no mention of the November 19th deadline. Also also notice that the ad did not run in the Boston Herald, yet another example of Boston institutions overlooking the thirsty local tabloid. No wonder we’re destined to be a One-Daily Town. and this is Metro Page One of the Globe. 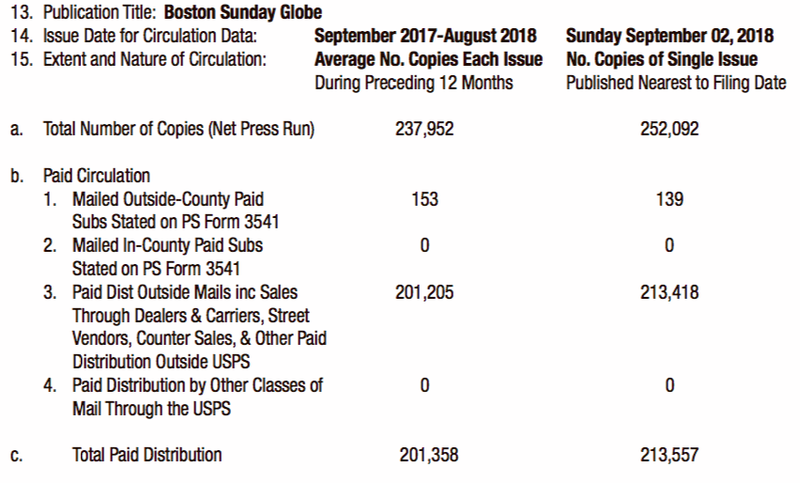 As one of the up to several Boston Herald home subscribers, the hardreading staff just received a letter telling us that the costly local tabloid will very soon be even costlier. 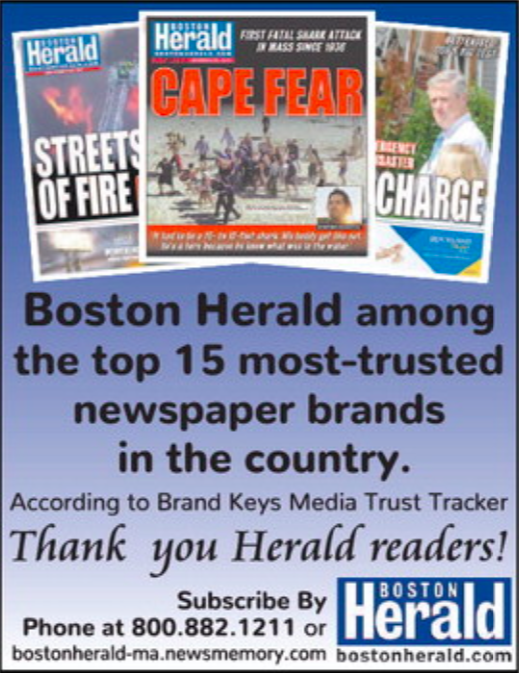 The Boston Herald appreciates your readership and hopes you have been enjoying your subscription. This letter will serve as notice that effective 2018-10-04, your new weekly rate will be $11.00 for the subscription term you have selected. As a home delivery subscriber, your subscription includes access to our website and E-edition replica. 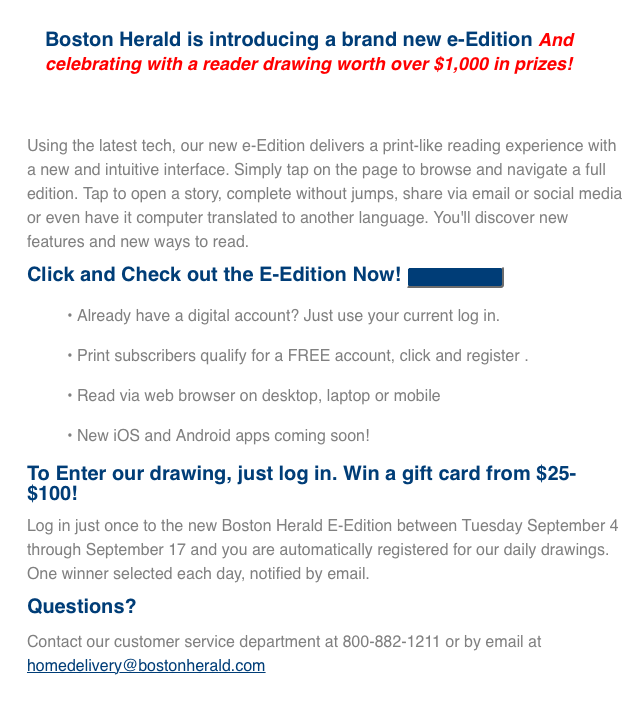 Quibble #1: The Boston Herald website is free to all. Quibble #2: Even by our admittedly calcified mathematical skills, the new weekly rate equals $572 per annum. 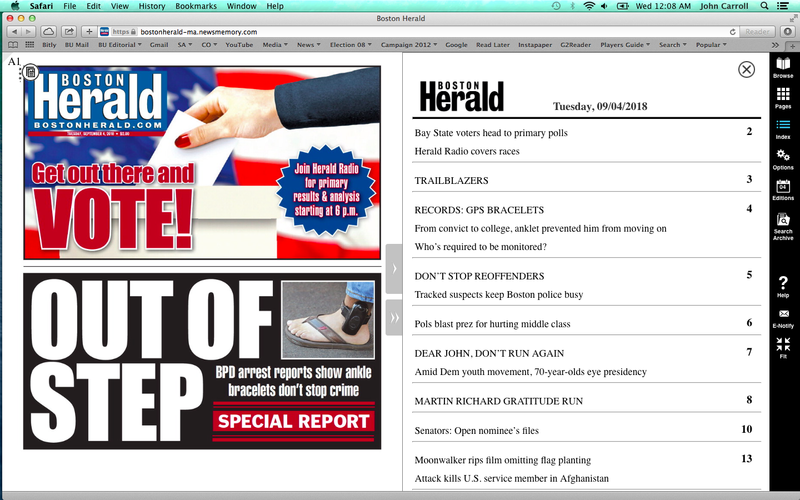 At said Herald website, anyone can subscribe to the print and digital editions for about $250 less. Quibble #3: This particular paragraph in the letter. All home delivery subscriptions will include up to 4 SPECIAL EDITIONS annually. Each SPECIAL EDITION will be between $1.75 to $9.99 depending on the SPECIAL EDITION. If you prefer not to receive these SPECIAL EDITIONS, you must call Customer Service at the number above to OPT OUT. If you do not OPT OUT, the SPECIAL EDITIONS will be automatically billed to your account and your SUBSCRIPTION TERM will be shortened. Subscribers will be charged Sunday rates for Thanksgiving Day home delivery. Smart move, considering that “[r]esearchers have learned that options and services too often falter because they’re designed to depend on people taking some kind of action. Studies show that relying on inaction yields better results,” according to this Association for Psychological Science report. 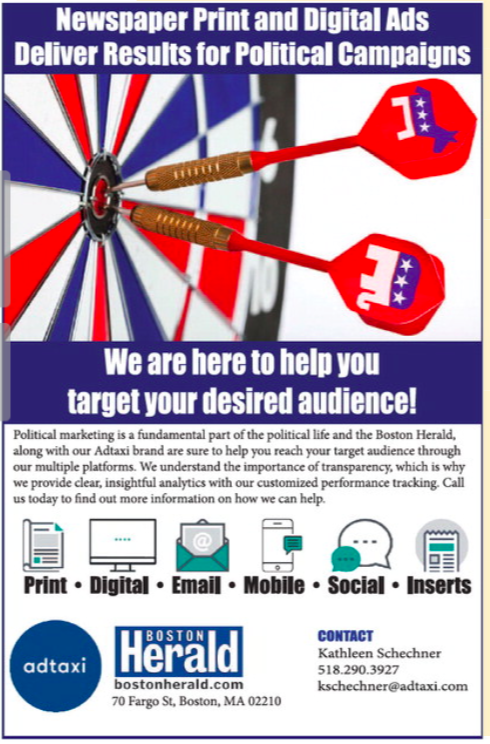 As our kissin’ cousins at One-Daily Town have diligently chronicled, the Boston Herald’s owner, Digital First Media, is determined to strip the Herald like a car left overnight on the Cross Bronx Expressway. Apparently, Digital First feels the same way about Herald subscribers. 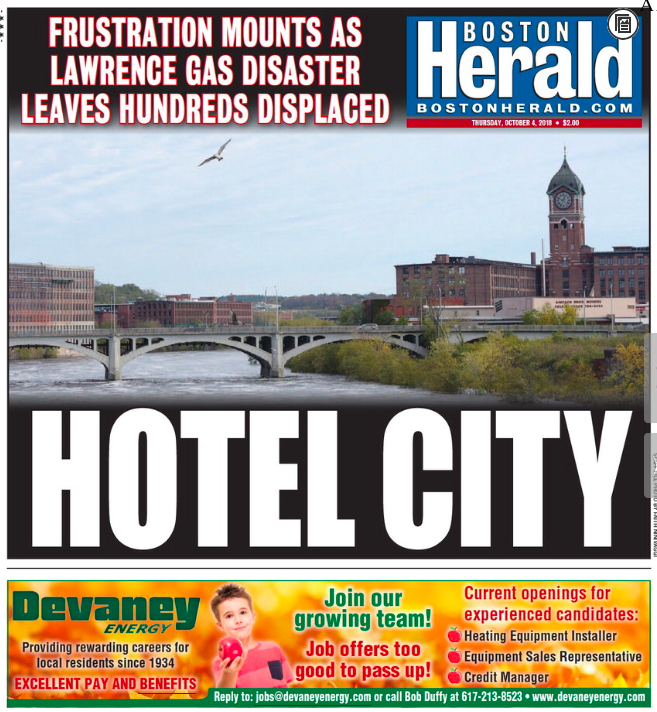 The Not-So-Boston Herald has, over the past handful of months, 1) moved its printing from the Boston Globe’s Taunton press to the Providence Journal’s plant in Rhode Island, and 2) announced the paper’s move from Fargo Street to Braintree later this year. Despite the Herald’s sunny-side-up promotion of its new printing press (“our loyal customers can look forward to a more reader-friendly paper”) and new home (Free parking! Convenient shopping! On-site Leanbox (whatever the hell that is)! Amenities! Miles from Boston! ), it sure doesn’t feel like good news. But this – which hit our email in-box last evening – sure does. Anyway, here’s the new format. Not to get technical about it, but that was the E-Edition at 12:10 this morning, which seemed a bit, well, out of step. 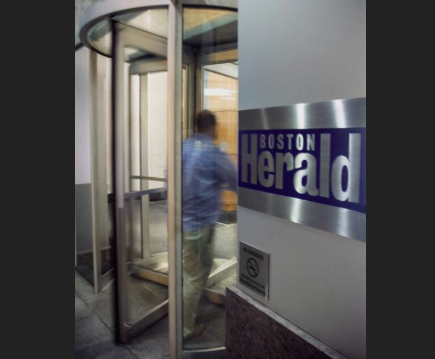 Boston Herald Gets Props From Boston Globe & NYT! Stop the presses! The feisty local tabloid was totally legit yesterday! Start with the Boston Globe, where correspondent Matt Stout (formerly of the Boston Herald) filed this report. 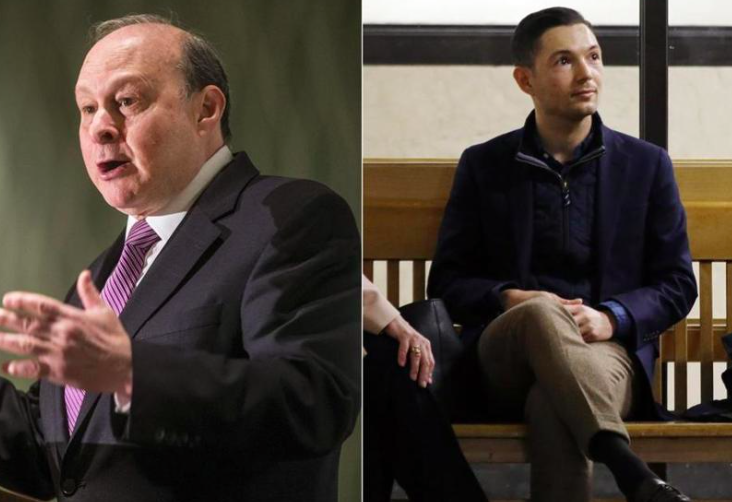 The Superior Court judge who approved a request to shield the name of the man suing former Senate president Stanley C. Rosenberg and his husband, Bryon Hefner, abruptly stepped down from the civil case Friday, shortly after the two filed paperwork opposing it. Judge Debra A. Squires-Lee did not say why she recused herself from the case against Hefner and Rosenberg, which alleges that Hefner sexually assaulted a then-State House aide and that Rosenberg “knew or was aware” that Hefner posed a risk to others. The aide, identified as John Doe in court filings, said Hefner sexually assaulted him at least three times in 2015 and 2016. 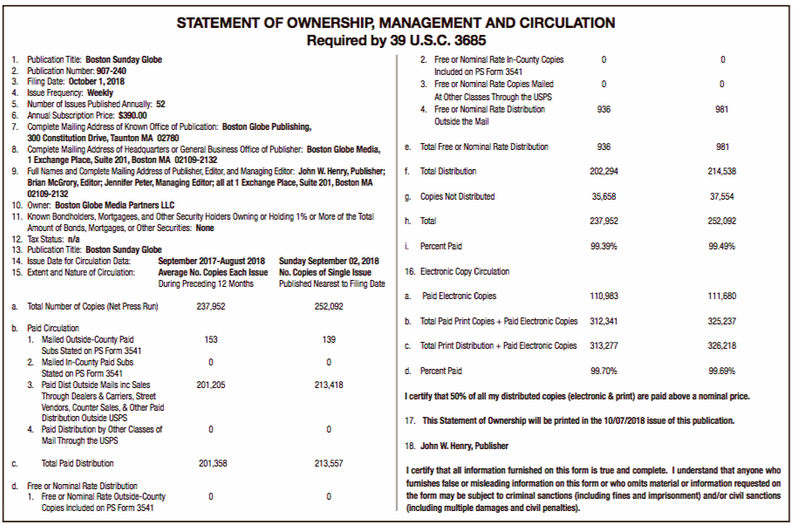 The Boston Herald first reported Rosenberg and Hefner’s filings. Then again, Jennifer Schuessler’s New York Times piece yesterday about BSO flutist Elizabeth Rowe’s equal-pay lawsuit quite likely eased the pain. The top flutist of the Boston Symphony Orchestra has filed a gender pay discrimination suit against the ensemble, claiming that her compensation is only about 75 percent that of her closest comparable colleague, the orchestra’s principal oboist, who is a man. The suit, which was filed on Monday by Elizabeth Rowe, the orchestra’s principal flutist and one of its most prominent musicians, appears to be the first under a new law in Massachusetts that requires equal pay for “comparable work.” The law was passed in 2016, but it did not go into effect until Sunday, after employers had two years to rectify disparities. [A]ccording to Ms. Rowe’s lawsuit, which seeks $200,000 in unpaid wages, pay disparities can be significant. Ms. Rowe, 44, is paid about $70,000 less each year than John Ferrillo, 62, the principal oboist, based on data in the lawsuit and tax records. 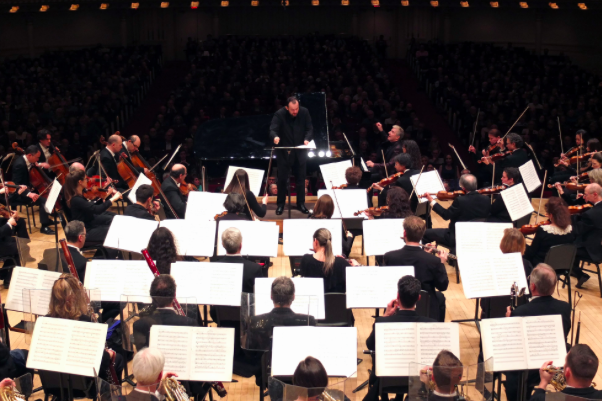 That is despite the fact that they play next to each other and are both “leaders of the orchestra in similarly demanding artistic roles,” according to the lawsuit, which was first reported by The Boston Herald. That, my friends, is music to the hungry local tabloid’s ears.